PowerArchiver 11.60 RC5 0 out of 5 based on 0 ratings. * Support for extracting ZIPX JPEG format, PowerArchiver becomes only application after WinZip 12 to fully support ZIPX format. * Burner now uses SPTD layer for burning if you install latest PAVD, for faster burning and improved access to drive. * New file/folder selection with checkboxes for backup. * "No to All" option added to all relavant continue dialogues. * Open archive after creation option added to shell. * Memory usage improvements - up to 1 MB less memory used. * Faster explorer view (startup and browsing folders). * Improved select folder window (faster). * PA uses ZIP as default compression when PA has not been run. * Spanning now enabled when Queue is used. * PA Starter improvements (unicode, interface, etc). * MRU's are now being saved during shell actions as well. * Improved behaviour when extracting single files out of huge rars. * #1633 - if overwrite fails, PA does not show an error. * #1626 - if we select open after creating, spanning options get enabled. * #1625 - during drag & drop extraction, empty folders not extracted. * #1581 - Updating encrypted files in certain situations. * #1632 - if burner is not present, yet selected in backup, AV shows. * #1643 - cbr, cbz, pak files showing drag and drop options when opened. * #1621 - CRC not shown for folders inside 7zip archives. * #1624 - CRC issue with zip files that dont have proper local/central headers. * #1612 - Issue with specific large zip file. * #1615 - Unrar does not work in specific situations. * #1618 - PA does not create zip spans over 4 GB properly (sometimes). * #1480 - 7zip bad password can not cancel. * #1603 - PA crashes in config if closed with esc. * #1595 - PA can not encrypt spanned zip files in encrypt tool. * #1589 - Can not extract some 7zip archives when filename encryption is on. * #1522 - PAE extraction does not show % done. * #1601 - Pae not under extract menu in 64bit. * #1574 - Change shortcut for shell> extract. * #1582 - Different fonts in preview and backup window. * #1584 - Zipx shows in final backup screen, despite zip selected. * #1435 - Starter crashes if installation closes it. * #1588 - Only one queue item is processed at time. * #1580 - Can not open zip encrypted archives created in PA 2007. 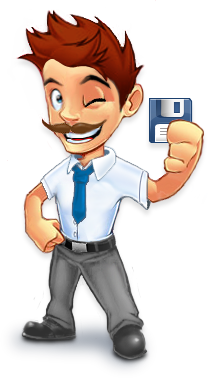 * #1569 - modification date of folders not extracted properly for rar. * #1573 - compression of larger files through batch zip did not work in specific situations. * #1570 - Optimized + Queue did not work . * #1559 - Previewing inside solid 7zip archives does not work. * #1547 - PA can not rename specific files in zip. * #1560 - clicking on .z01 does not show file contents. * #1536 - Issue with compressing unicode files in non-english Windows (such as Chinese versions of Windows). * #1533 - File format selection resets when open dialogue is used to select new filename. * #1501 - FTP profile selection in backup gets reset. * #1524 - Issue with 7zip and encrypt filename option. * #1520 - Spanning is available when PAE encryption is selected. * #1521 - Update save window does not always default to my documents. * #1517 - Some Pro options still available when registered as Standard license. * #1525 - Mount Virtual DVD option not showing up in shell. * #1507 - Other PA settings not saved if PA is restarted after registration. * #1513 - Right click menu not showing in backup list.